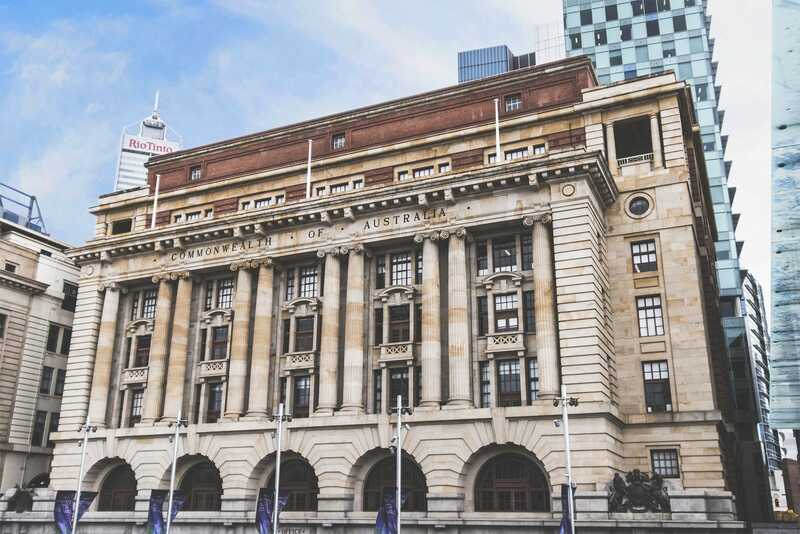 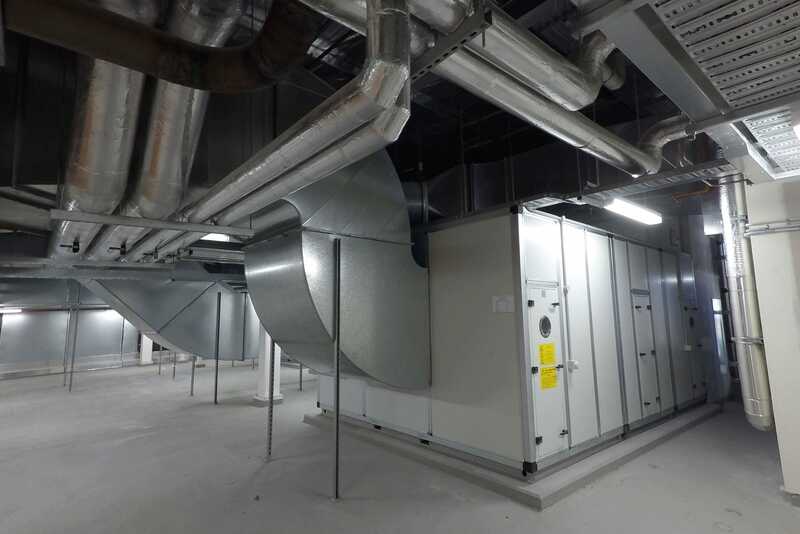 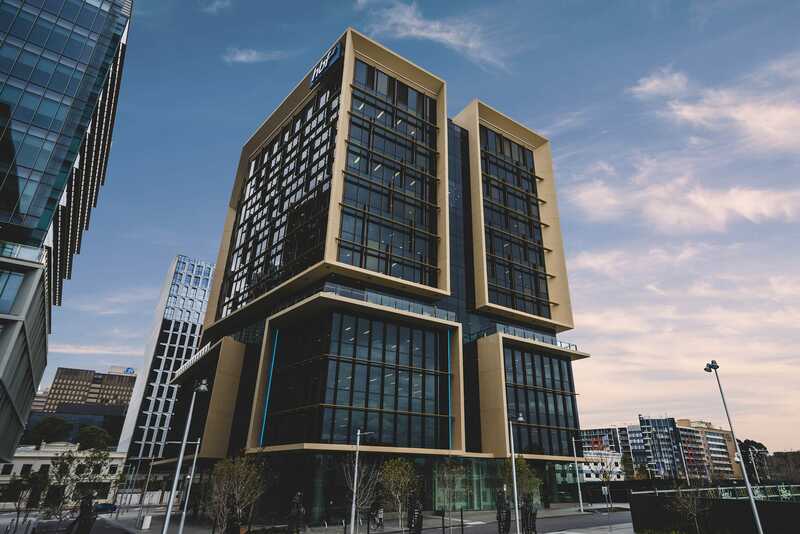 Air Handling Units (AHU’s) serve low-pressure variable air volume (VAV) to each of the six building zones; one for each façade and two internal zones. 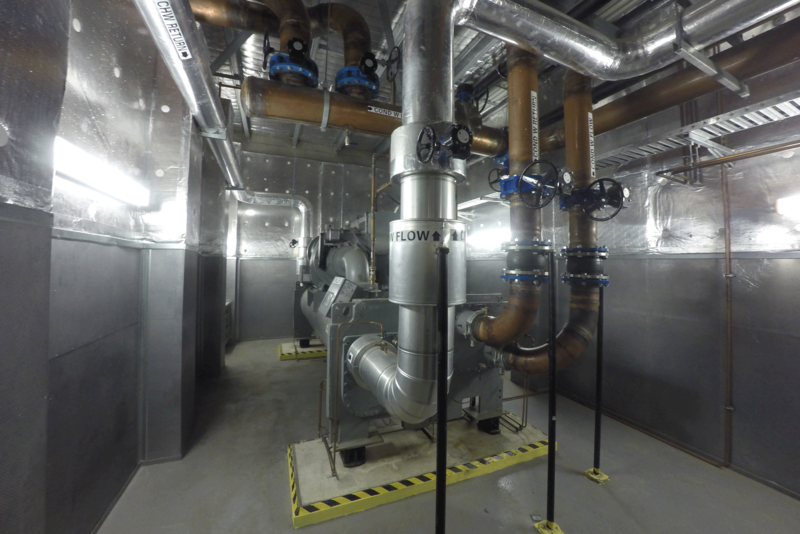 Ventilation systems including toilet exhaust, tenant kitchen exhaust, tenant outside air, car park exhaust. 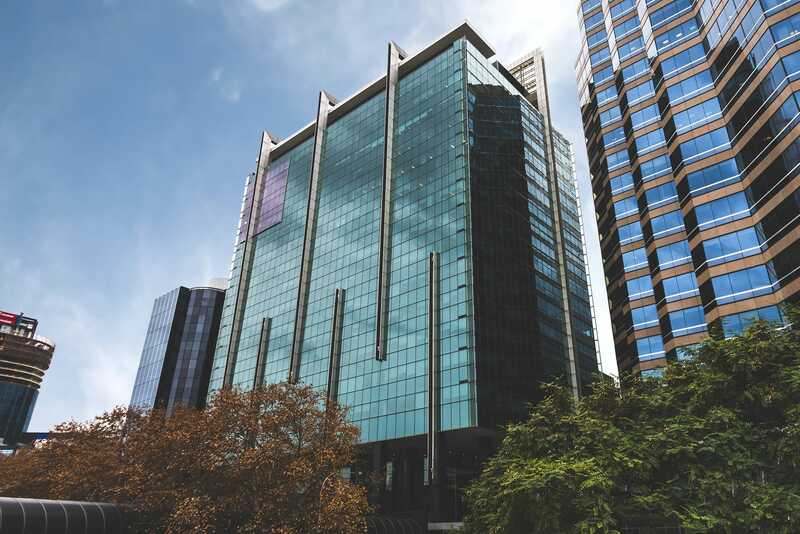 Address: 54 – 58 Mounts Bay Road. 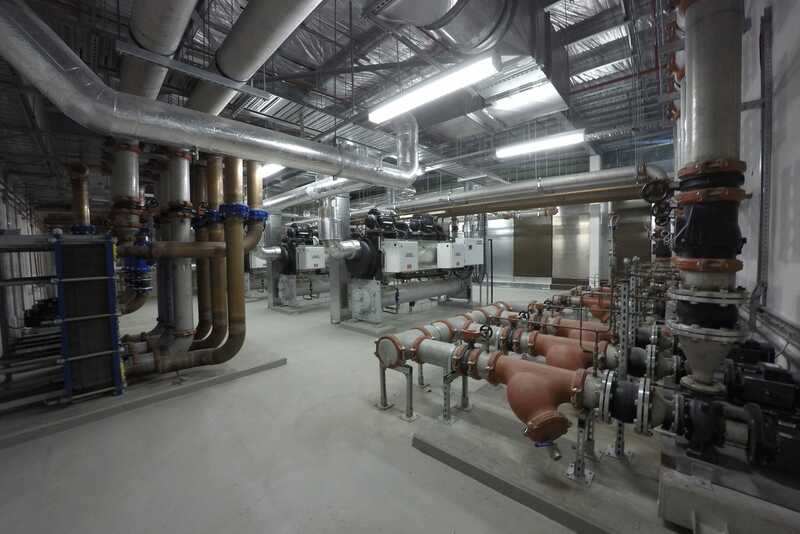 Air Handling Units (AHU’s) serve low-pressure variable air volume (VAV) to each of the six building zones; one for each façade and two internal zones. 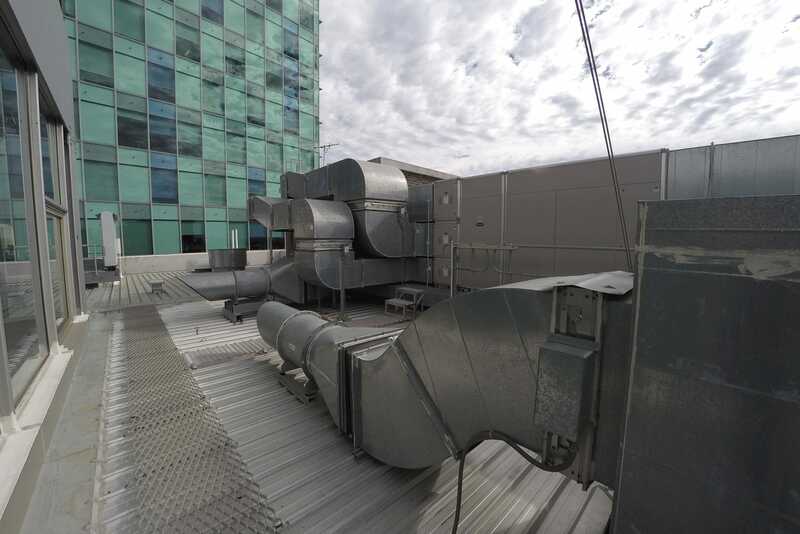 Packaged water cooled air conditioners, linked to the tenant cooling loop.Ventilation systems including toilet exhaust, tenant kitchen exhaust, tenant outside air, car park exhaust. 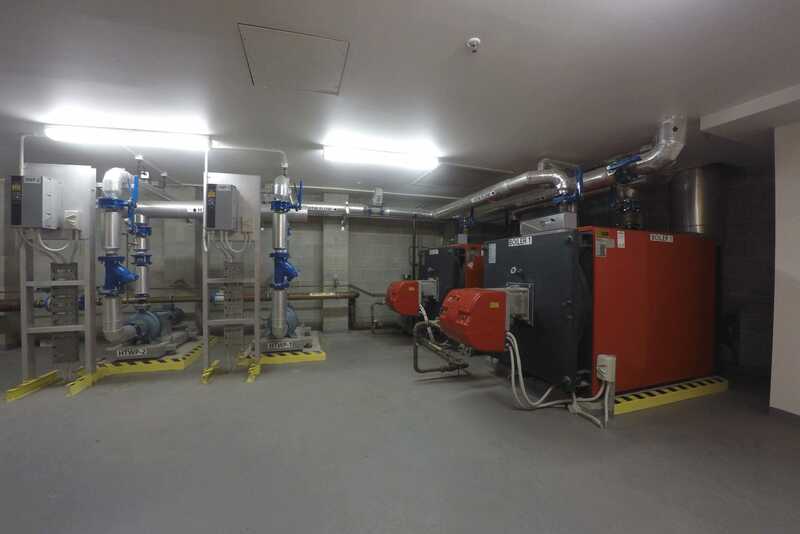 Smoke control systems include smoke extraction, stair pressurisation and sandwich pressurisation designed to prevent the spread of smoke during an evacuation. 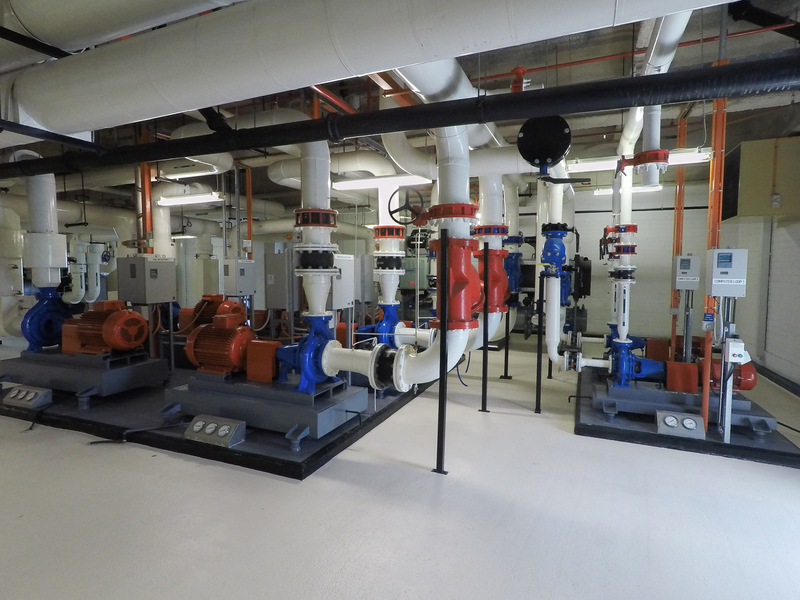 Fully integrated Building Management System (BMS). 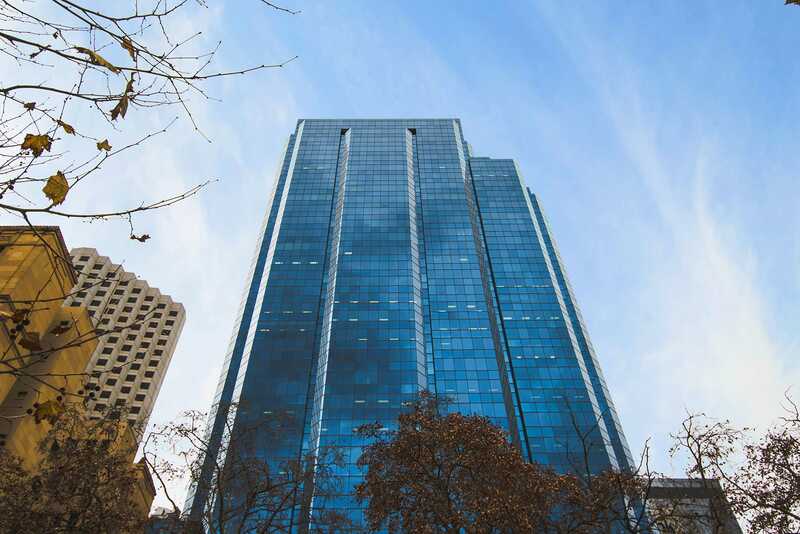 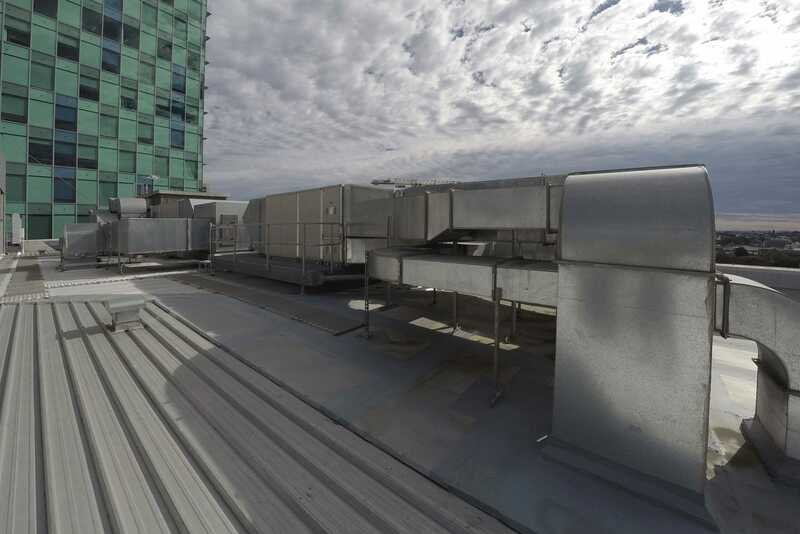 Air Handling Units (AHU’s) serve 36 floors of variable air volume systems; approx. 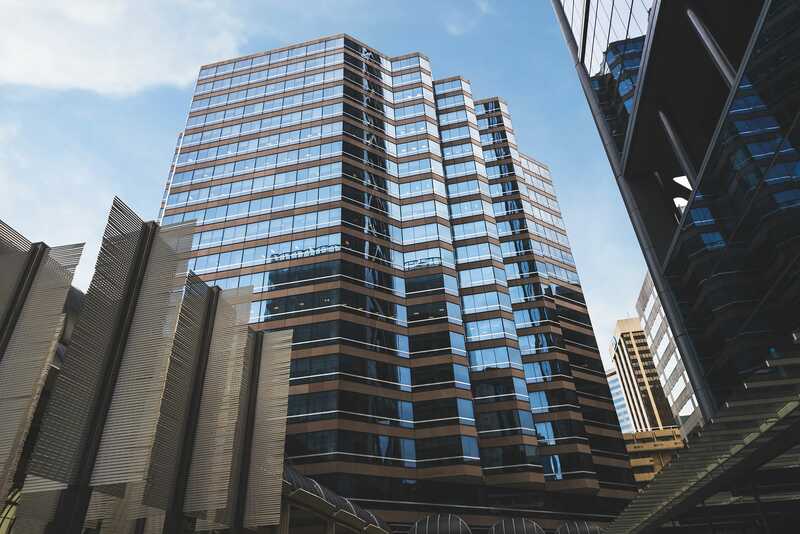 17 per floor. 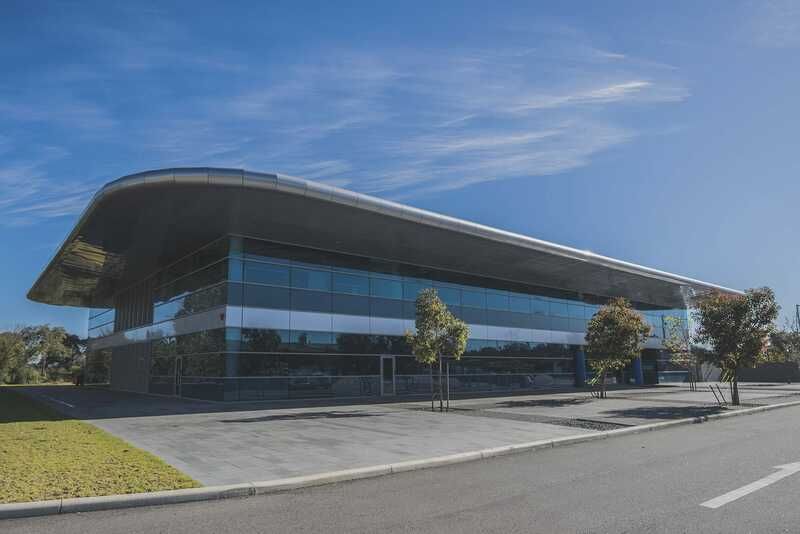 Level 1 to Level 6 office tenancies air-conditioned through zone passive chilled beams, located above perforated modular ceilings. 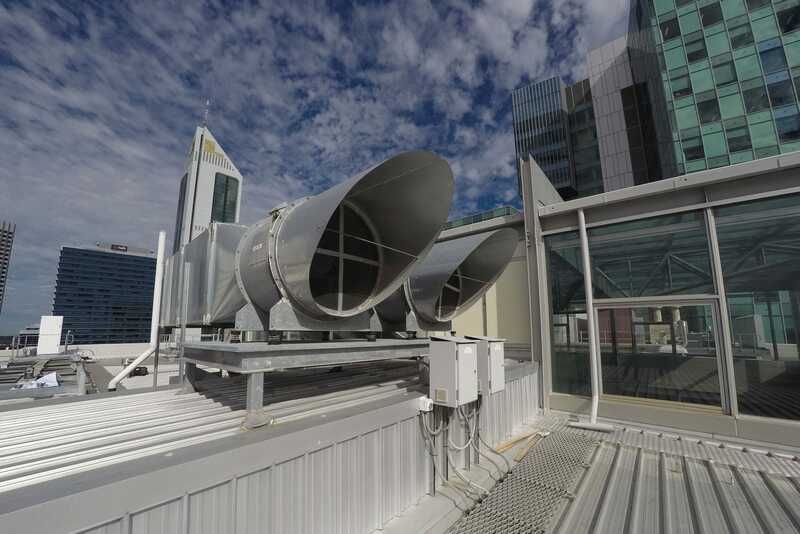 Air Handling Units (AHU’s), complete with heat rejection run around coils, serve level 7 office tenancies variable air volume systems. 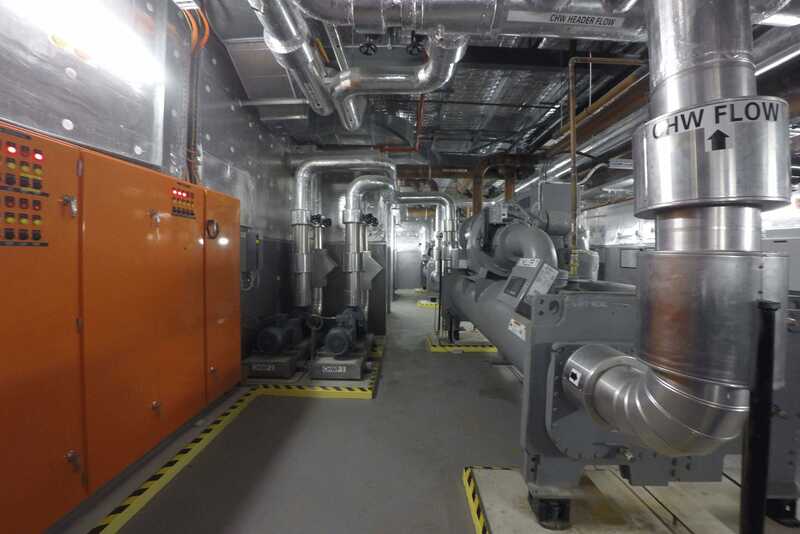 Ventilation systems including toilet exhausts, car park exhausts, kitchen exhausts and tenants outside air. 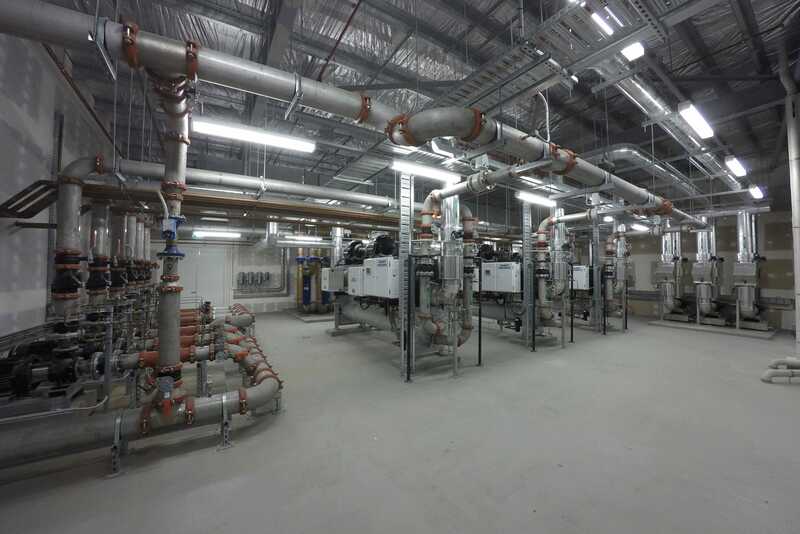 2 x Air Handling Units (AHU’s) to each floor serve variable air volume systems. Yanmar gas fired VRF heat pumps and fan coil units serving occupied areas. 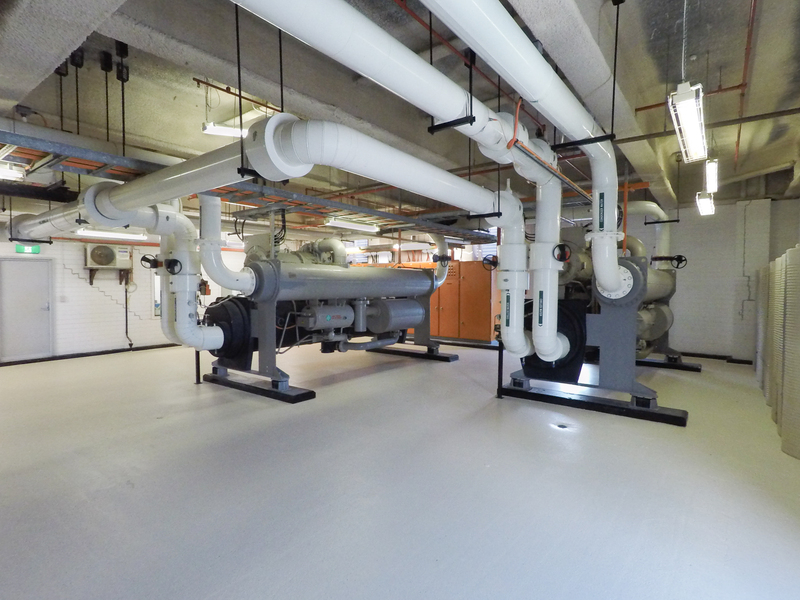 Heat recovery units provide tempered supply air. 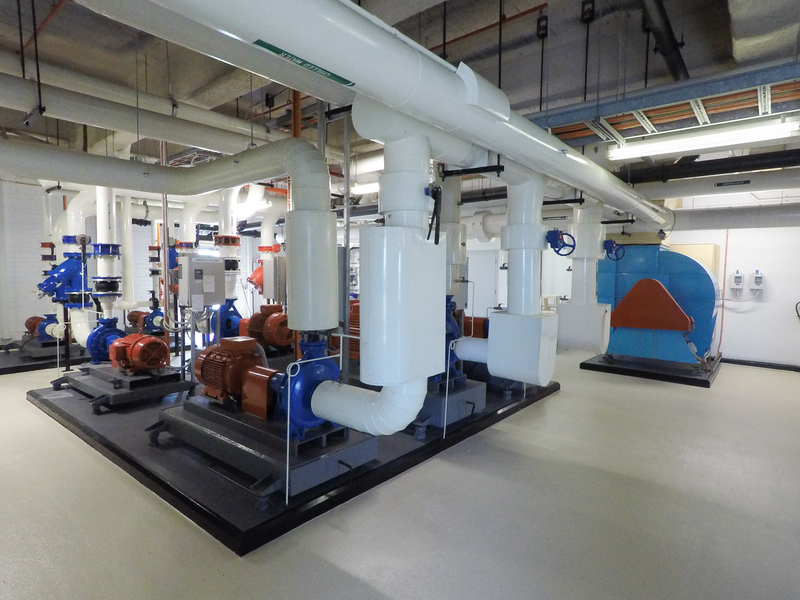 Numerous DX split system systems.